BIG Tone's hip hop roots run deep. He grew up in The Bronx, New York and began his career working for Uptown Management. He would later become a road manager with Top 10 Enterprises Inc, where he gained experience in; Retail Tracking, College & Secondary Radio Promotions, Record Pool & Club Promotions. He would eventually go onto be, Regional/National Video Promotions Manager. 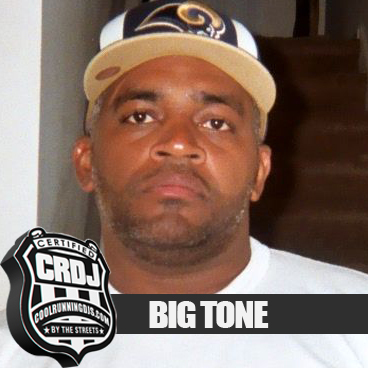 BIG Tone has worked with various artist such as; Case, Rell and Jay Z to name a few. Music Info Group consist of two or more companies each offering services to help you with your Marketing and Promotional needs. We strive to be the most effective, cost and time efficient. We are dedicated to providing solutions to meet every need, whether long or short term. Music Info Group involves professionals that work as part of an integrated multi-company team, inclusive of support staff and services, rather than as independent contractors, to provide you with expertise and professional support you need.